Singapore is a tropical country which only experiences wet and dry seasons. 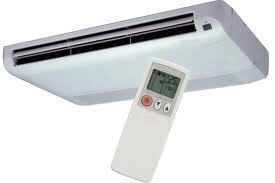 It is very impossible to experience winter that’s why we rely so much on air conditioning systems to cool our homes. With this kind of weather, people in the country seek for solutions like having air conditioning units turned on night and day. In this kind of lifestyle aircon maintenance in Singapore is one of the essentials to keep the aircon units in its top shape by maintaining a regular aircon servicing. This will not only ensure extended equipment lifespan, but it will also save you a lot from your monthly energy bills. Here are 5 good reasons why regular aircon maintenance will benefit you in the future. 1. Regular aircon maintenance will ensure that the unit is working at its best and prevent major system malfunctions. Plus, you can avoid any possibility of overworking it. 2. You are assured with a safe running system that is good for the health. Some aircon units that don’t have regular maintenance collect dusts and fungus that are carried out by the air from the aircon system. Keeping it in shape will prevent any diseases from spreading out in your homes. 3. Well-maintained systems are good for the environment since they use lesser energy than the poorly-maintained ones, and of course they save their owners money by requiring less aircon repair. 4. Because it conserves lesser energy, it means you will be paying lesser energy bills. Good for the environment, as well as for your pocket. 5. Do not depend too much on service warranty of your air conditioning systems. Yes, it can be your remedy for major emergency breakdowns, but these warranties have expiry dates. Future breakdowns may not be covered anymore by the warranty that’s why it is still very important to have the unit regularly checked. 6. Aircon repair services in Singapore can easily modify and make repairs to air conditioning systems easily and smoothly when the unit is properly maintained. 7. Regular maintenance can spot ageing parts or issues immediately which prevents any problem from getting worse. 8. With the technician checking and giving you reviews of your aircon unit, you will be educated about it and may eventually handle minor maintenance on your own. In that case, you will be saving more and at the same time, you will be more aware of the proper handling of the unit. 9. Essential regular aircon maintenance will ensure longer equipment lifespan. Since you will not be overstraining the whole unit, it will manage to last longer than what you expected it to be. In households in Singapore, the frequency of maintenance depends on the type of unit and how often it is used. For example, an air conditioning unit in a company building that is used every day for 8-12 hours is much needed to be maintained frequently than the air conditioning system in residential homes. When choosing the right air conditioning servicing company, remember to choose the reputable ones with engineers and technicians that are professionals, experienced and highly skilled. Take time to check a number of companies and see if they can offer you great deals for your overall air conditioning needs. Making BBQ food in Singapore is a great idea for those who love the taste of BBQ. When you cook from the heart, the flavors of BBQ food, otah, and satay seem to be more intense. The more passion a company has for their bbq food, the better it tastes. If you are looking for some great bbq food, than using a bbq Singapore catering company is a superb idea. They will not only have the experience that you need, but also the staff required to cater a large or small party. Before choosing a BBQ wholesale company to service your gathering, you should find a few things out. When you are choosing a company to help you cater a party or gathering, there are things you must find out first. 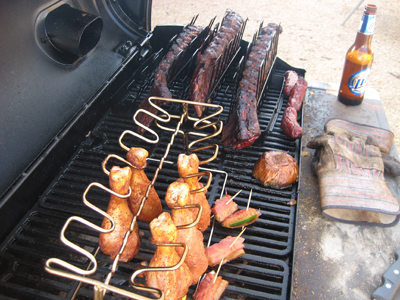 The years of experience that the BBQ catering or BBQ wholesale company has are very important. This fact alone will help you know how much experience they have with bbq food, satay, otah, and other types of food. It will also give you a hint on their credibility. A bbq catering company that has been around for a long time obviously has a good track record. If they didn’t then they would have been shut down. As much as possible, you should have a great area to work on, this is very particular to BBQ wholesale, as lots of bbq food should be done. 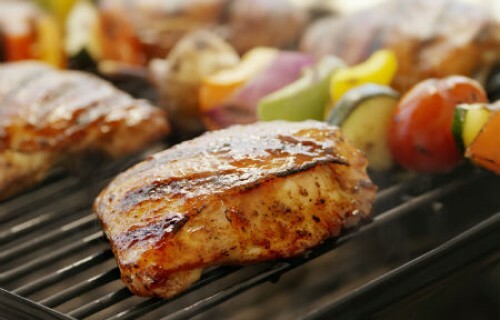 Make sure as well that all the tools and utensils to be used for barbeque are all sanitized and clean. It is not really a good idea to just provide things for your customers without giving them clean and well-sanitized material. This process should always be done by BBQ catering or BBQ wholesale businesses, as hygiene is very important for this kind of business. When doing a bbq catering business in Singapore, these are only some of the things to ponder in order to get the best BBQ food to serve clients. Whether, it is otah or satay it is essential for a BBQ wholesale company to observe the facts being mentioned above. Applying those things up for your business would be a better assistance for you. So, what are you waiting for? Start a booming business on Singapore now and have yourself earning well. Health studies show that alkaline water has positive effects on human health. It is basically water that has a pH level above 7, making it healthy and safe for everyone. As a matter of fact, amniotic fluid or the fluid surrounding a fetus in a mother’s womb is alkaline. Even a mother’s natural breast milk is also considered to be alkalized. Each time we eat in fast foods or indulge in highly processed foods, the pH level in our body system changes which is why there is a need for us to balance and restore our body’s pH level. When water is alkalized, it becomes rich with alkaline minerals. These minerals help in neutralizing the dangerous, acidic wastes in our body. We must always be properly hydrated, especially in tropical countries like Singapore where the hot sun can easily cause dehydration. Singapore ionized alkaline water, also known as micro-clustered water, contains molecular structures that easily penetrates into our cells thus making the absorption of nutrients and vitamins quick. Additionally, it also boosts our body’s metabolism. A well-hydrated body performs much better than a dehydrated one. 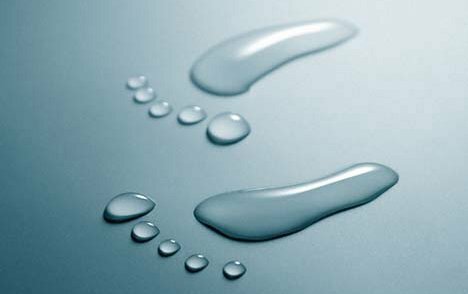 The degree of our hydration is reflected on how energetic and attentive we are during the day. Health studies show that drinking alkaline water increases a person’s vitality. This, in turn, helps fight fatigue or extreme tiredness which is oftentimes associated with workaholics. Since alkaline water has high amounts of oxygen and negative ions, it revitalizes the body. As a result, a person feels energized and more refreshed. Alkaline water has high level of antioxidants which is why people who drink lots of it look younger than their actual age. As people age, the cells in the body are being depleted of hydrogen making them dehydrated. 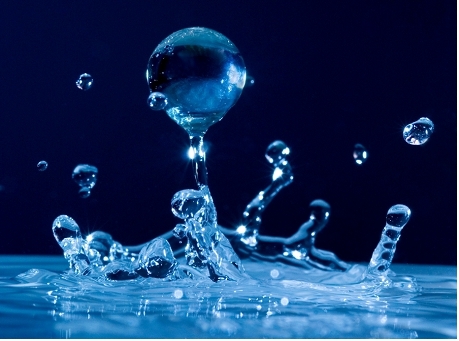 Alkaline water is rich in hydrogen which is a powerful antioxidant that delays aging. Alkaline Water helps the body in getting rid of toxins that are poisonous for the body. It is a good solvent that flushes out these harmful elements that can cause inflict medical problems on us. For that reason, there is a dire need for our drinking water and water systems to be filtered in order to remove the unwanted, detrimental elements present in it. In the past, presbyopia or lao hua was basically treated with close vision using various optical aids such as reading glasses, magnifying lenses and monocles in Singapore and the rest of the world. Patients of presbyopia had a very hard time, and were often found wearing and removing their reading glasses in order to read material written in a small font or objects in close range, and often lost them since their long distance vision was affected if they continued to wear them. Later, Benjamin Franklin developed a process which involved the fusion of distance lens with lens used in read glasses which gave birth to the bifocals which have today, and which have also been through some modification resulting in the development of trifocals. These reading glasses were definitely a good omen for patients of presbyopia since they were saved from the hassle of removing and losing their glasses altogether. However, the problem with these glasses was that you are only allowed correct vision of objects located a particular distance, and therefore, your vision scope gets limited. Presbyopia patients would have to learn to rotate their eyes downwards in order to enable them to read. Furthermore, all these issues may also result in various other medical conditions which affect your eyes. Fortunately, we have several treatments available for treating presbyopia patients in Singapore at medical clinics, and these treatments can be effectively accessed by residents too. You can start by mixing rose water with one part lime juice and keeping them in a bottle, and use this solution as eye drops. While this might not sound like a very good idea, but the fact of the case is that it happens to be one of the most effective natural treatments available for lao hua. Presbyopia is indeed a very common problem in Singapore, and before you can actually go for the treatment, it is necessary that you understand the causes of this condition and why it worsens. A natural preventive measure against lao hua with long term positive implications on the health of your eyes is to include a diet which contains more Vitamin A and C in order to ensure that you are able to delay and control the development of cataract and presbyopia into the future. You should include dark green leafy vegetables, carrots, mangoes, papayas and peaches in your diet. All of these fruits and vegetables are easily available in Singapore. Dry fruits such as almonds and walnuts happen to be a great way to treat and prevent your eyes from weakening, and you should have them as snacks on a regular basis. Presbyopia happens to be a medical condition which should be taken very seriously, and by making certain healthy changes in your lifestyle, you would be able to prevent the health of your eyes from further deterioration. How often should you go for a health-screening test? With such, it may vary in accordance to different individuals. Every one might have been at higher risk factors because of their family history of a certain condition. You need to consult your family doctor in order to help you with your needs in terms of screening thoroughly in order to fully evaluate your options. Generally in Singapore, people who are above 40 years old should annually undergo health screening. You can be aware – your awareness would be awakened if you consider getting health screening tests, which is why executive health screening Singapore is required by many companies here. Well, the simplest explanation for this thing is that you would have the idea of what health problems you may experience for the future years of your life. With these tests, your doctor could determine imbalances and abnormalities upon your body that may cause you stern health related issues. Keep in mind that your awareness would only be the only thing that could save you from future problems. Save – of course, when you are aware, you are able to control and handle yourself, so as your future health problem. This works the same with saving. Keep in mind, if your future condition would be left untreated by not taking health screening, it would be a little hard thing for you to sustain everything you will need for medication. You might even break your bank just to sustain your medical needs. Unlike if you control yourself and handle your health today, you would simply see a very big difference than of what you can spend for the future. Less of burden – Well, no one in Singapore wants to suffer for any sort of excruciating and uncontrollable pain. So, if you don’t want to get your life into a burden situation, it would be best for you to consider getting on health screening packages. Employers also help their workers avoid this by recommending the more specific corporate health screening. So, if you would like to help yourself out and be able to get those benefits mentioned above, considering taking health screening tests would be the best thing that you could do. So, what are you waiting for? 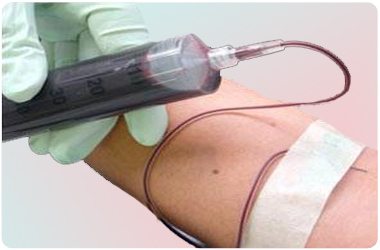 We advise all men and women to get into the nearest clinic and have the screening test now. Don’t wait until it’s too late.